So today is International Women's Day and if you have Sky tv, on Living tonight there is a program called Five, an anthology of five short films about breast cancer, I can't say I'm looking forward to it, that's not quite the right phrase to use but I'm sure it will be an emotional watch. 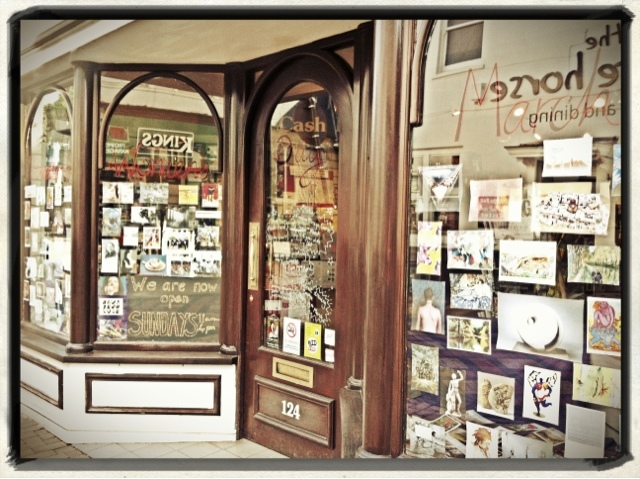 Our local Art shop A. Boville Wright in Maidenhead celebrated by filling their windows with postcards of art work by Female artist, famous and non, all of which were selected by their customers. Did you do anything to celebrate? ?